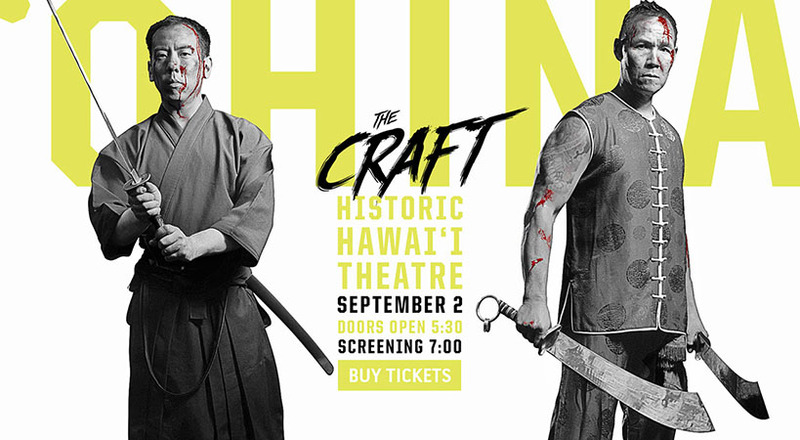 This Friday, the Ohina Short Film Showcase is back at the historic Hawaii Theatre. Since 1999, Ohina’s been a celebration of short films created by local storytellers, fueled by a passion for film. In keeping with last year’s Ridiculously Short Interviews I had a ridiculously short chat with Gerard Elmore, Ohina’s executive director, and Erik Ries, Ohina’s creative director. We talked about the highlights of this year’s Ohina, including a Q&A on Saturday with Marvel Studios producer Nate Moore (‘Captain America: Civil War,’ ‘Captain America: The Winter Soldier’). Ries: Creative director and conversation instigator, brandHAWAII. Give me one odd job from the past. Gerard: I once worked the NASCAR circuit as a video correspondent. Ries: I installed an entire aluminum bleacher system at Oregon State Universityʻs football stadium … during the summer. It was hell. Gerard: Creating, crafting and telling stories. Ries: All of it when itʻs good. What are you most excited about for this year’s Ohina? Gerard: Taking the films to the Hawaii Theatre. Ries: Growing the experience surrounding the actual showcase. One word to describe the filmmakers at this year’s Ohina? 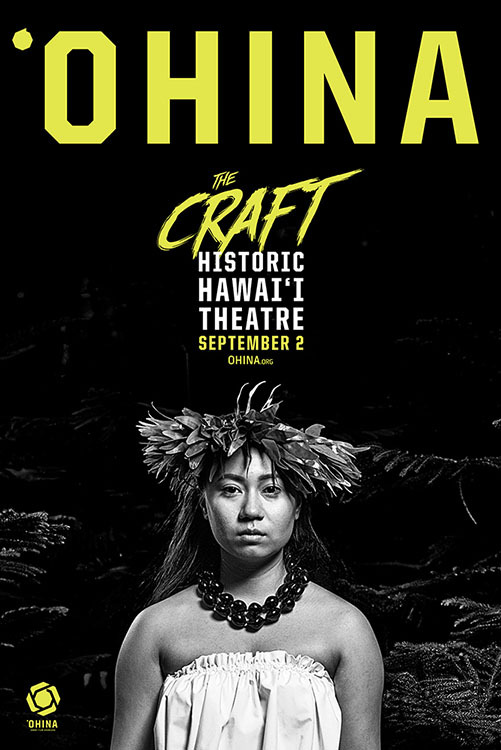 Do you see any trends with Hawaii’s young, up-and-coming filmmakers? Gerard: We’re starting to see really great, sustained growth in local storytelling. Ries: Iʻve seen a HUGE jump in storytelling in the last two years. What do you love most about the short film format? Gerard: Short, sweet and always a surprise. Ries: The “proof of concept” aspect if the filmmaker wants to transition it into a feature. Ohina is known for some epic trailers. What can we expect from this year’s trailer? Gerard: The trailer is going to be a complete 180 from what we’ve always done in the past. 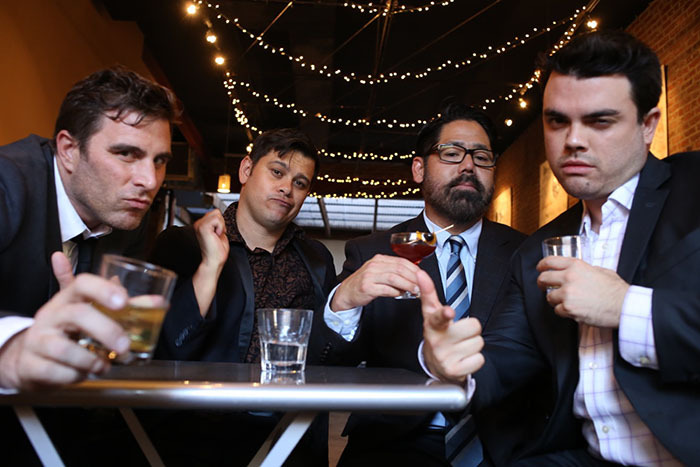 Ries: I love how it’s our outlet for being creative while supporting local storytellers. 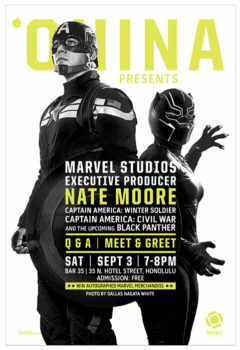 This year, you’re doing a Q&A with Nate Moore, producer at Marvel Studios. How did you land such a noteworthy guest? Gerard: This is all Ries. Ries: Nate is a personal friend of mine. Any chance Nate will reveal any Marvel Cinematic Universe secrets? Gerard: Good question, I hope so. Ries: I’m sure Nate will be able to tease the audience where allowed. One piece of advice for filmmakers who are thinking about entering next year’s Ohina? Gerard: Shorter is always better. Friday, Sept. 2 at 7 p.m.
Saturday, Sept. 3 from 7 to 8 p.m.